Pastor Allen is a former Lay Leader and Associate Minister of First Baptist Church, Lambert’s Point, and former Youth Pastor at Second Calvary Baptist Church, both in Norfolk, VA. In 2009, he received his Master of Divinity Degree from the Samuel DeWitt Proctor School of Theology at Virginia Union University. 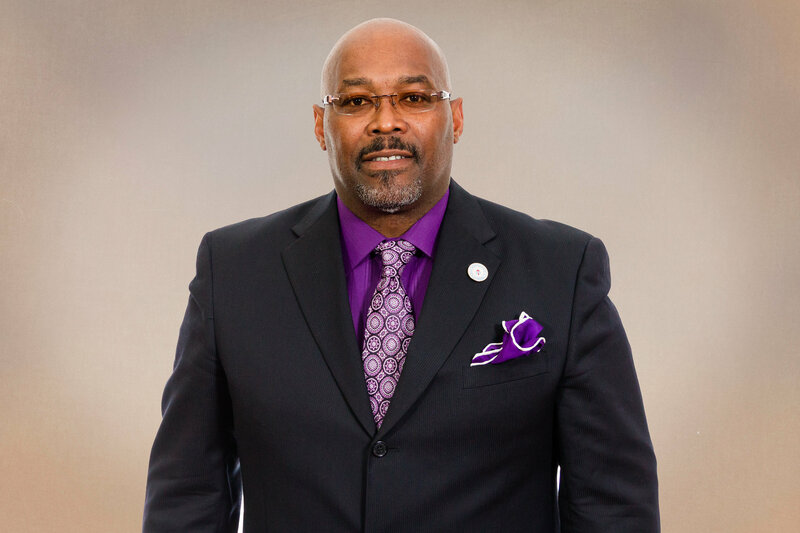 Pastor Allen serves in several local and statewide denominational leadership positions. He serves as the Home Missions Board Director of the Tidewater-Peninsula Baptist Association, as an Executive Board Member of the Children’s Home of Virginia Baptists, Inc., and as the Assistant Director for Academics and Planning with the Virginia Baptist State Convention’s Department of Christian Education. Locally, he is the Recording Secretary for the Norfolk Pastors’ Coalition, a group of thirteen local pastors who have come together to address the issues of education, employment, and political efficacy in the city. Currently, Rev. Allen is pursuing a Doctorate of Ministry in Congregational Mission and Leadership from the historic Luther Seminary in St. Paul, Minnesota. He is married to the former Jacqueline Claud of Southampton County, Virginia. They are blessed to be the parents of two daughters, Kaelani and Victoria, as well as two grand-daughters, Madisyn and Mara.